DELUXE VINYL EDITION!!! 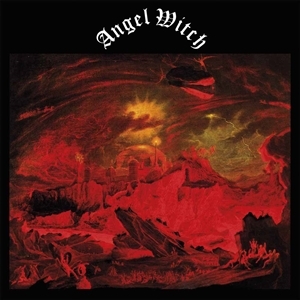 "Angel Witch" is the debut album by the British heavy metal band Angel Witch, originally released in 1980. Angel Witch is distorted, guitar-oriented heavy metal of the highest order, filled with memorable songs accentuated by Kevin Heybourne's divine vocals. This record exudes passion, intensity, and a raw energy that seemed characteristic of the New Wave of British Heavy Metal. DO NOT call yourself a metal head if you do not own this album! Released on the bands own imprint, Extermination Day Records, manufactured and marketed by Bad Omen Records, this is a heavyweight vinyl release of the cult demo tapes recorded by Angel Witch in 1978 & 1979, on various reel to reel recording devices across the attics and front rooms of their native South London.